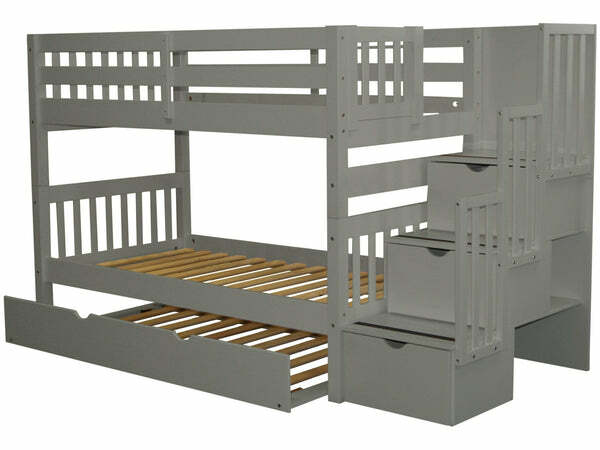 Can be separated into two twin size beds. Please keep in mind that the top bunk foot board will have the gap that is the entryway for the stairway. 3 drawers built into Stairway for storage. 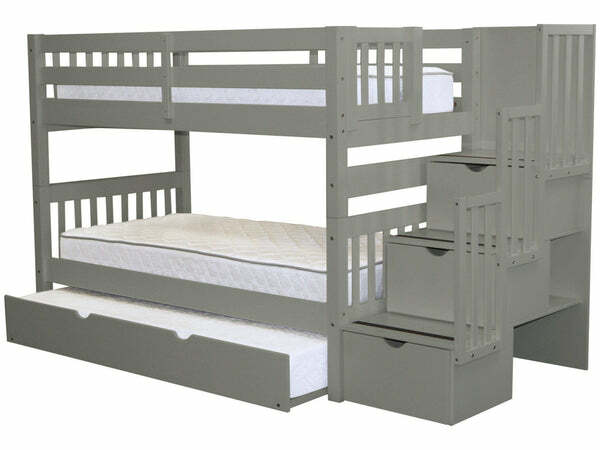 Sale is for Twin over Twin Stairway Bunk Bed with a Twin Trundle, excludes Mattress. 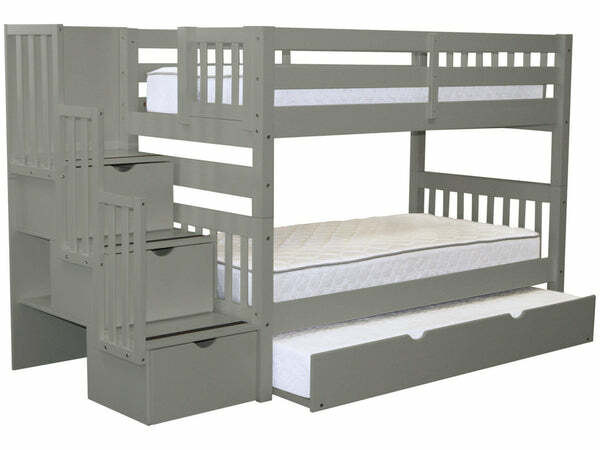 Set includes (4) Side Rails (2) Head Board (2) Foot Boards (28) Wood Slats and (4) Guard Rails on both sides for the top twin bunk, (3) Drawers (3) Step Stairway access + (1) Twin Trundle with (10) Slats. Total Dimensions are approx 61 1/2 high x 102 1/2 wide x 42 1/2 inches deep. Bottom bunk is approx 11 inches off the floor - space between bottom bunk slats and top bunk slats (excluding the mattress) is approx 31 1/2 inches.